I wanted to let you all you beauty junkies know that TK Maxx has some really great deals on Murad Skincare sets. I bought this Sun Undone Starter Kit for £8 and I have seen it sold online for £80!. They had a few different kits and I’m popping back to get a couple more as gifts, these would make great stocking fillers. Be quick, at that price I’m sure they won’t be around long. These products are also aimed at enhancing radiance and protecting skin from future environmental damage. 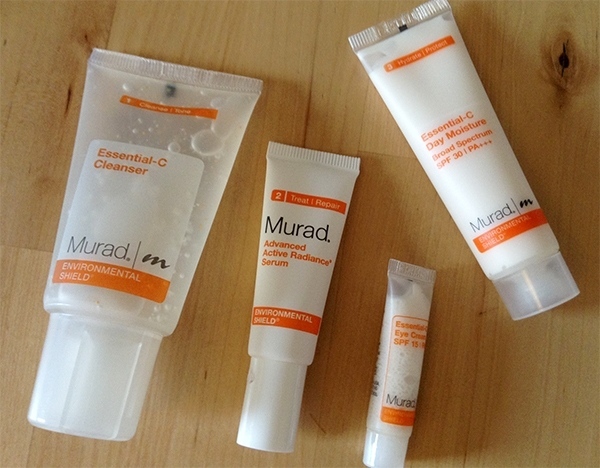 I’ve used Murad skincare in the past and really liked it, their Clarifying range is really good if you suffer from blemishes. I’m excited to use this. Let me know if you’ve tried anything from this range or if you’ve picked up a beauty bargain in TK Maxx. Oh, & why do TK Maxx have to put so many annoying sticky labels on their products. I can never get them off.